Interacting variable stars, to which symbiotic binary stars belong, are among the most exciting objects that a variety of variable stars offer. Physical mechanisms related to transfer and accretion of matter cause observable activity by manifesting increases of brightness (about 2 – 5 mag) and significant changes in the spectra of these objects. The brightenings of symbiotic systems have been recorded since the early 20th century, but many questions remain open to this day. AG Draconis belongs undoubtedly to the group of most well-known symbiotic stars. The first photographic observations date back to the 19th century. This system consists of a cool giant of spectral type K0-K4 and a hot white dwarf with high temperature and luminosity. 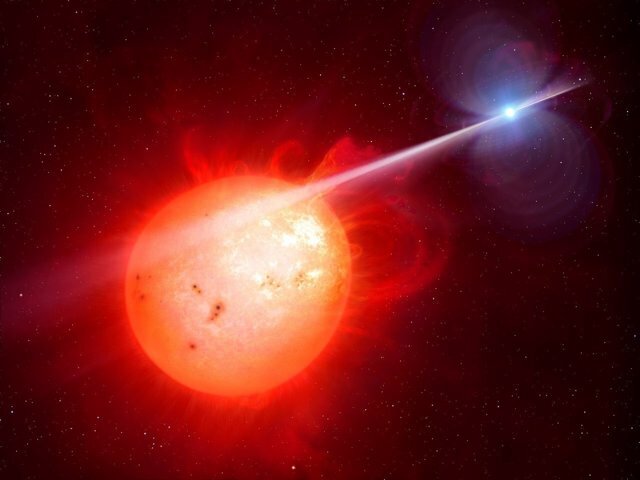 The entire symbiotic system is surrounded by a circumbinary envelope created by the cool giant wind, which is partially ionized by the white dwarf’s radiation, and which generates observable emission lines. The talk will present some results of analysis of a unique observation material that covers a period of almost 130 years. We will focus on the properties of both components and the parameters of the whole system and also on the activity of this binary. The results obtained show that only long-term observations can help to understand the physical mechanisms that are responsible for the activity of these systems.